It’s easy to forget that when Breaking Bad premiered 10 years ago, it was just another TV show. Not a groundbreaking piece of entertainment, not a universally acclaimed series almost certain to be remembered as one of the finest shows ever made, but an odd-looking little story about Bryan Cranston selling drugs. The initial advertising blitz was intentionally off-putting: Cranston, his genial-dad appeal blunted by a disheveled and weathered look, stands clad only in a shirt and tighty-whitey underwear, staring out from the billboard or magazine page almost like a dare to tune in. It was just as likely to make a potential viewer say, “gross,” as to get them to check it out. But those who did tune in—and that number slowly built, season after season, the way television shows of yesteryear were often permitted, thanks to the foresight of AMC and the onset of streaming services—saw a series that had as much commitment to visual style as it did to narrative. 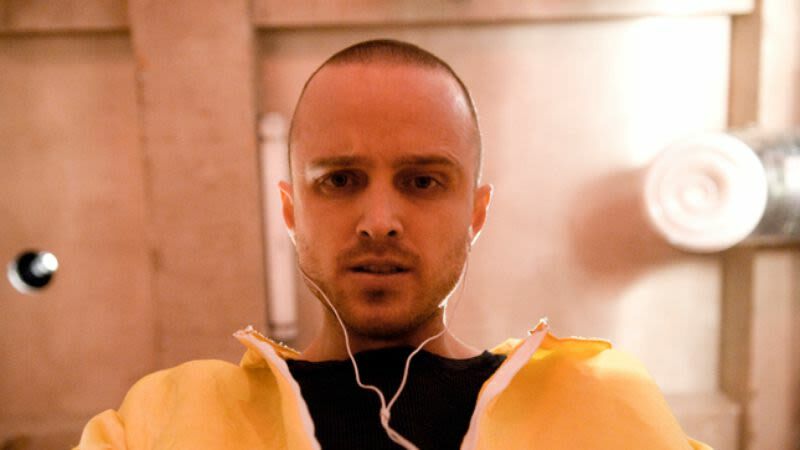 The show routinely brought on directors who contributed to the tone and vibe of Breaking Bad, establishing moods of choking tension, pressure-cooker anxiety, or adrenaline-laced intensity as the story demanded. Much of the credit goes to creator and showrunner Vince Gilligan, who helmed the first episode and thereby set the tone for future directors. The sun-drenched use of natural light, the sense of stifling heat, the often harsh chiaroscuro, and deft contrast between static compositions and handheld jittery camerawork are already present in that pilot installment, establishing the look of Walter White’s tragic opus. In the intervening years, several of the show’s directors have gone on to have an outsized influence in both film and television, their career bumps from working on the show helping to craft some of the more popular and/or significant pop culture on American screens. From beloved TV series to a certain war in the stars, here are four of the directors who went from Breaking Bad to breaking down established directorial visions and helping to create new ones. For many people, Breaking Bad was likely the first time they had seen the name Rian Johnson. His first two features, Brick and The Brothers Bloom, didn’t find much of an audience outside arthouse theaters, the former’s high school noir and the latter’s Wes Anderson-esque pastiche style never attracting a huge following. But his three episodes introduced the director to a greater number of viewers, years before his ingeniously engineered sci-fi drama Looper would bring him to a more mainstream audience. With the season-three bottle episode “Fly,” Johnson created one of the most striking and singular episodes of the whole show, making the story of Walt’s increasingly unhinged efforts to capture a fly loose in his and Jesse’s underground lab a deeply memorable experience. Johnson is now one of the most famous directors of 2017, with The Last Jedi generating massive box office and critical acclaim thanks to his decision to shake off the fetters of what had come before and try something a little new. It’s not hard to imagine he learned a bit of that game plan with his just-different-enough episodes of Breaking Bad. More than anyone save Vince Gilligan, Michael Slovis is responsible for what we think of as the visual style of Breaking Bad. He directed four episodes, but operated as the series’ cinematographer from season two on, taking Gilligan’s initial vision and fine-tuning it into the impressionistic and contrast-highlighting style for which the show became celebrated. That background in cinematography has served Slovis well since the series ended, as he not only served as director of photography for the pilot of The Leftovers—another visually striking series that owes the creation of its look in large part to his eye—but has gone on to direct episodes of many of TV’s most visually captivating shows, including Game Of Thrones, The Walking Dead, Preacher, and—of course—an episode of Better Call Saul. If there’s an MVP director on Breaking Bad, it’s Michelle MacLaren. In addition to serving as executive producer, MacLaren managed to direct 11 episodes of the show—more than any other director, and more than twice as many as even Gilligan himself. She cut her teeth in the early 2000s on series like Without A Trace, but really came into her own with her work for AMC. Her metier was showy, cinematic sequences of action or thrills, from explosive shoot-outs to bloody montages to that time Gus Fring killed everyone around the pool with poisoned tequila. Other TV shows took note, and soon MacLaren was directing everything from fights between Brienne and a bear on Game Of Thrones to a pitch-black kidnapping on The Leftovers. Given her masterful handling of violent and larger-than-life material in inventive and eye-catching ways, it’s no surprise she was originally chosen to direct DC’s Wonder Woman. And even though she and the studio eventually parted ways (the old “creative differences”), she’s still at the forefront of TV directors, helming thrilling episodes of ambitious series like Westworld and The Deuce, while prepping her feature debut—an adaptation of historical drama The Nightingale. Johan Renck had an impressive career before Breaking Bad, but a completely new one after. Like Johnson, Renck helmed three episodes, but prior to the AMC hit, the director had worked almost exclusively in the realm of music videos. He was enormously successful at it, shooting clips for Madonna, Beyoncé, and more, but his attempt to break into the world of feature films, the wannabe-controversial thriller Downloading Nancy, was stymied by poor reviews and little attendance. Instead, Renck managed to get a gig directing a 2009 episode of the series (the season two episode “Breakage”), and by the following year, Renck’s new gig as an acclaimed TV director had begun in earnest. He since directed episodes of The Walking Dead, Bates Motel, Halt And Catch Fire, among others. His may not be the most well-known name on this list, but it’s one that was profoundly altered by his stint directing, and is now quietly helping to shape the new wave of TV drama.